You know how I do contests every so often, where I give away $1,001 or 2 round-trip tickets? Did you notice anything weird about the comments? I always ask people to tell me what they would use the prize for. And the comments always strike me as a little odd. For example, I recently gave away “Dinner for Two” for a year as well as $1,001, and I asked people what they would use the money for. Most people had good responses, but a number caught my eye. Cheesecake Factory? A notepad? That’s it? Notice how the $1,001 goal relates to a one-time gift. What if they had $1,000 more each month? What would they do differently? I love doing these contests because they let me give back to the community and grow IWT readership. But I want to challenge you to think bigger. And indeed, it’s very possible for you to make an extra $1,000 — not just once, but every month, with a small amount of work. But most people would rather “dream” about it being given to them than work for 10x the results. They get tunnel vision and assume their income is a fixed amount set by their employer. Guys, your salary is just ONE income stream. You can easily create multiple income streams. Not scammy “sell knives to your friends,” but real multiple streams of income. I know, since I have over 15 sources of income. And I can systematically earn more or less from any income stream. In other words, I control it. Advertising would (literally) be pennies compared with he earns somewhat passively in 30 minutes. Why are you keeping live presentations? Is Vector Marketing “Cutco”? I did that for about 4 weeks one summer. I still have the knives, which are sharp after almost 20 years, so it wasn’t totally scammy, at least as far as the quality of the product. And I did actually learn a thing or two about selling (mostly that I hate pitching my friends’ parents), so it wasn’t a total loss. Just signed up. See you there, Ramit! It is easy to get excited about winning once, and answers for contests can be pretty short-term or limited as a result. Last year, Audi asked people to tweet what they would do if they won an Audi R8 to drive for a day. They had tens thousands of responses. Nobody thought (or tweeted) about what it would be like to actually earn enough to buy and own an Audi R8, and have it every single day, insure it, maintain it, and keep it safe. Or even if they could drive the car without crashing instantly. So, yes, contests can give a taste of what you can do/earn on your own without being lucky. It’s good that you are motivating readers to think more long-term, or just plain bigger. If you are not motivated enough to watch it live, you will probably never put in the effort to make the extra money. It’s a waste of Ramit’s time and resources. My exact same thought too Jeff! Laugh a bit to myself when I read Ramit’s answer! Great thoughts! $1,000 at one time is much different than each and every month. Committing your time and resources to watch the webcast at a certain time also makes compliance much more likely. It’s ridiculously sophisticated for compliance tricks, and probably the one thing most directly responsible for TVs actually having been popular when the technology was still new, despite how bad the shows were at the time. Totally worth your time if you like making money. I’ve watched a few of his live webcasts, one being on this very topic, and I’m currently making an extra $840/month. Awesome content Ramit, keep it up! Any chance of a recording, or an alternate timeslot outside of Australian business hours? Great article. Looking for your webcast. Hi, I too am in Australia and won’t be able to watch it. But I love the idea of contests and webinars, as I have gleaned so much valuable information from them over the past few years. You just have to remember to start applying some of the strategies and not sitting on them! Ramit, how come you didn’t send an email about this? I’d have love to check it out. I’ll try to catch the next great webcast. Thank you for all your work. It’s inspiring. I did. I always do. this is my blog. created recently. but i have no idea how to work with it. can u just suggest anything for it and also what should i do to get it better and earnable. I have to agree with another commenter who mentioned they did NOT receive an email or text message reminder for this session. Because I too missed it too. 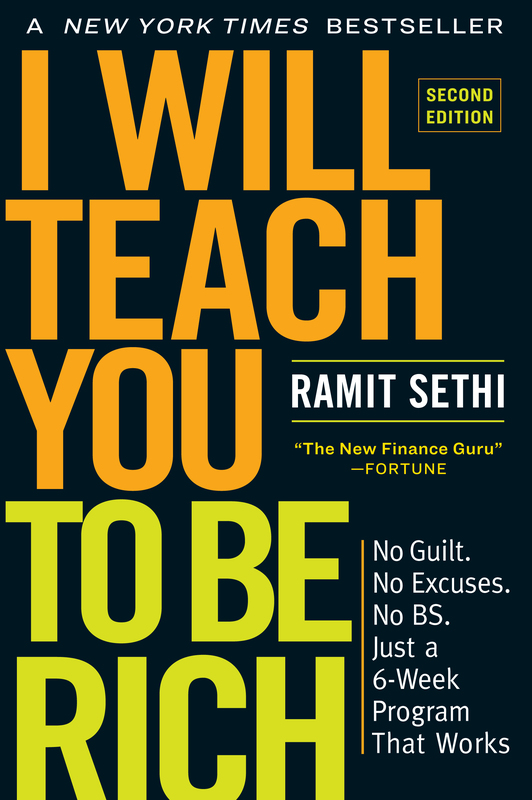 I have to commend Ramit for his persistence and great content. Because my McJob has made me miss many of the webinars, sure, recordings would be helpful, but I get it. It’s valuable information… Valuable, as in, worth lots of money! These webinars are free. If you can’t make the time, or can’t “afford” the time, like I sometimes can’t, tough! I am currently working towards this at this particular goal. After I hit this goal, I want to take the earnings that I am getting towards build up another $1000/month income.